The serial number plate dates the production period to March of 1971. 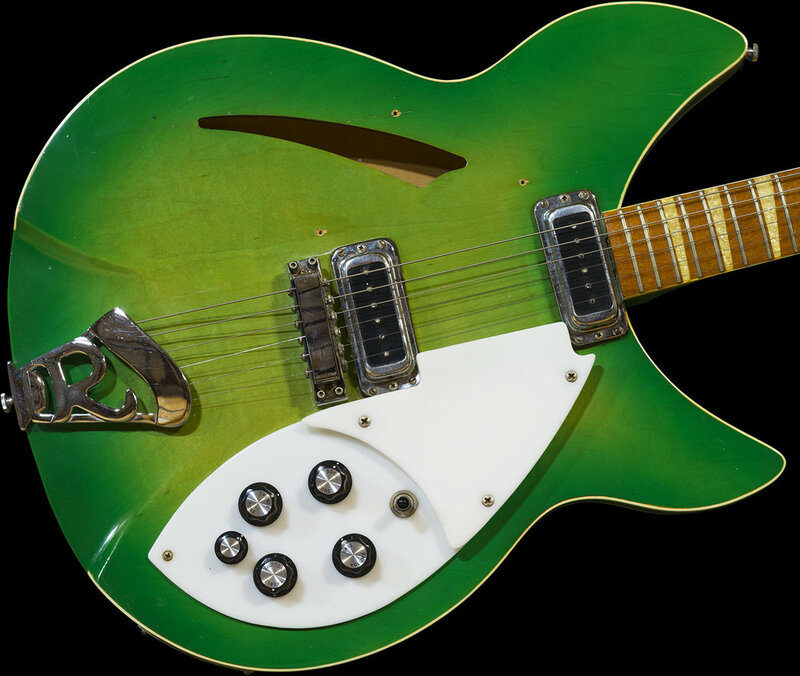 At this time, this is 1 of just 3 Rickenbacker instruments known to have been finished in this very cool color scheme. This guitar was once played left-handed and the upper level pickguard was relocated as evidenced by the 3 small holes on the face, otherwise, it is a very clean and Original instrument. I plan to excavate this guitar for a proper cleaning and photo session, so more to come! 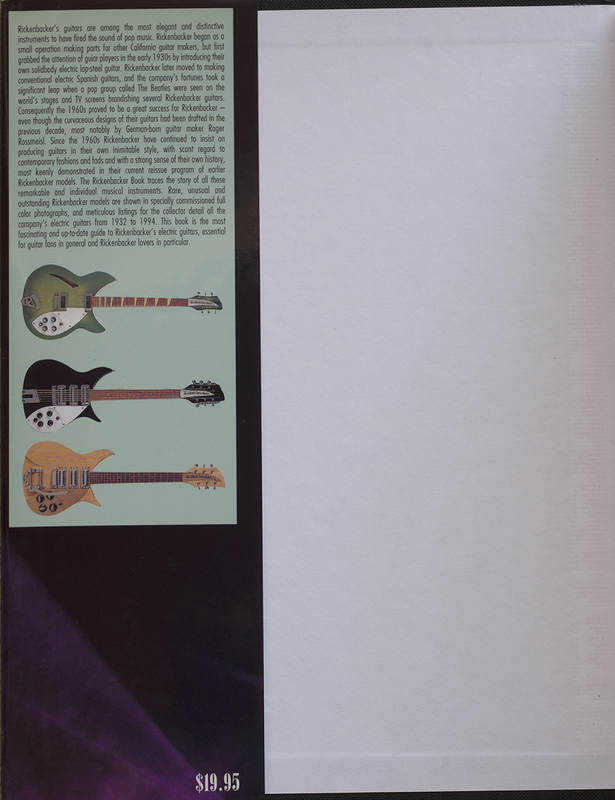 Typical of this era, the guitar is fitted with the exposed-pole, Hi-Gain pickups. 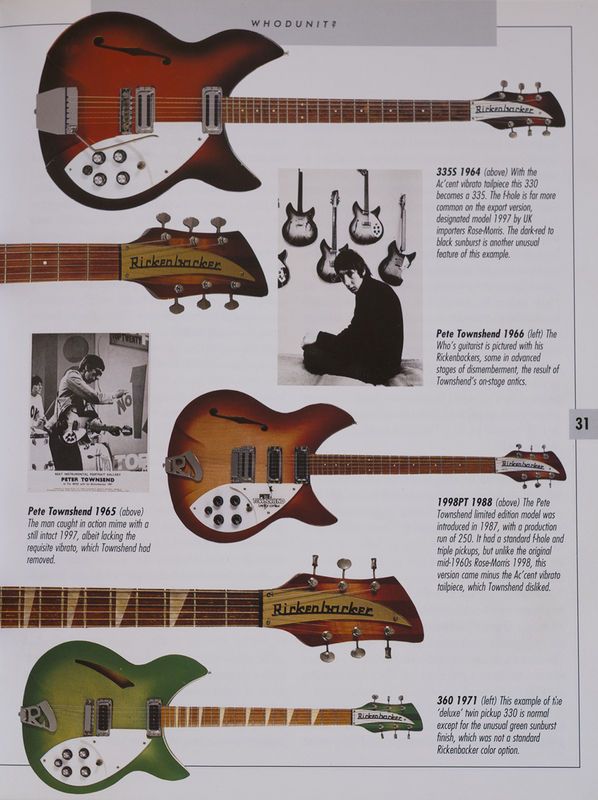 These pickups appear on various Rickenbacker guitar models for a short 2-3 year period and were redesigned shortly after. The next generation model received covered pole pieces, but you will see these during the 1969-1971 period.